Why should your toilet just be a functional part of the bathroom? With the Pastel Stripe High Quality Toilet Seat, your toilet will become an important part of the overall decor that will enhance the beauty of the room and add to its appeal. 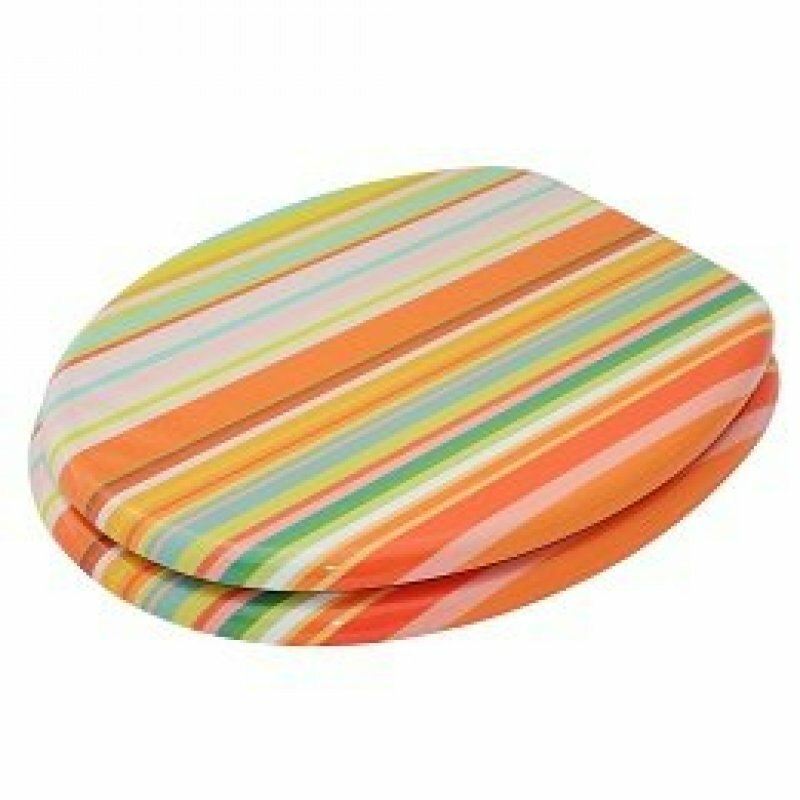 The toilet seat features a designer stripe pattern in tones of aqua, turquoise, pink, goldenrod, salmon and peach. The stripes vary in thickness as well as in colour, making the pattern very eye-catching. The pattern will complement many colour schemes and can be used to bring accent colours into a room or to tie multiple hues used throughout the other elements in the bathroom together. 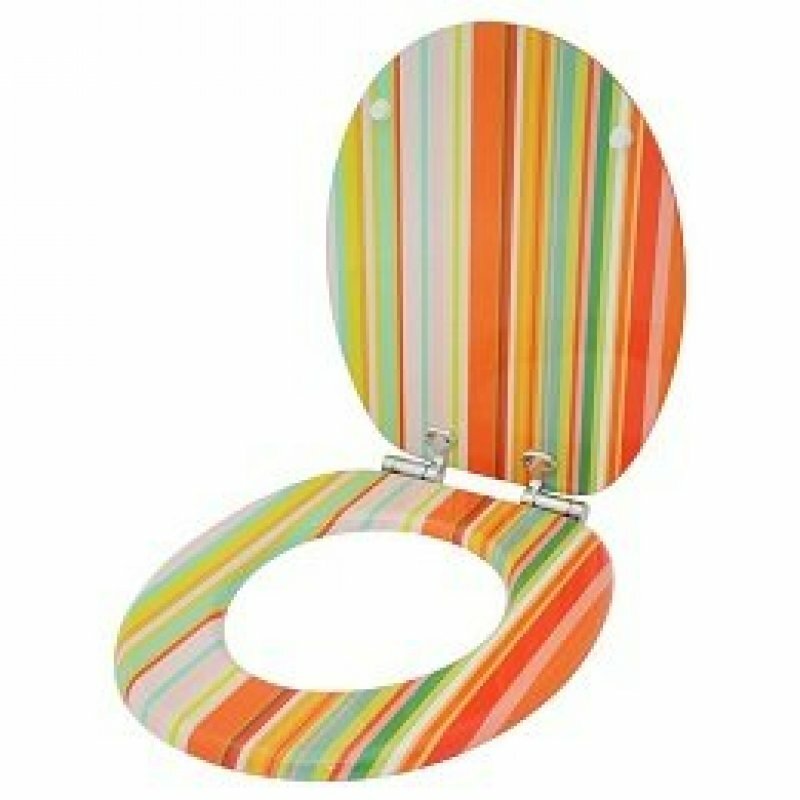 The Pastel Stripe High Quality Toilet Seat is fashioned out of genuine wood, and its painted surface is as durable as it is stylish. This seat will fit on nearly all standard toilet bowls, as it features universal hinges that can be adjusted with ease to fit spacing of 140 millimetres to 160 millimetres inside. To keep the bathroom sanitary and looking its best, the hinges are rustproof, and the wood has been finished with an antibacterial coating that prevents microbes from growing on its surface. 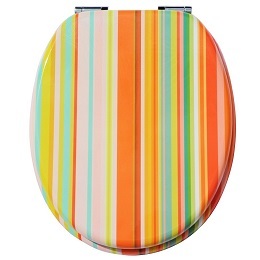 Treat yourself to style and luxury by adding this toilet seat to your bathroom decor.